If you are using the (great) Flipboard app on iOS or Android devices, you have noticed the app’s new feature for creating and subscribing to so-called magazines, i.e. collections of links from the web that Flipboard users can create and share (if they wish), and which are presented in classy Flipboard style. 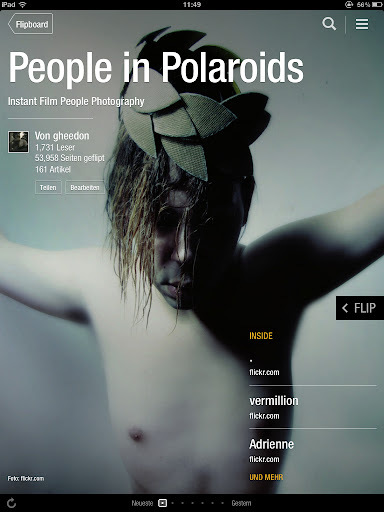 I have started a public magazine myself which I call “People in Polaroids”. 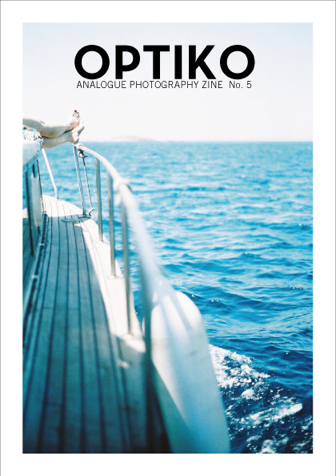 It basically features people photography done with Polaroid or other instant cameras, and articles covering this type of photography. Here is the link:http://flip.it/7KL2s. The cover photo is by Heitor Magno.